The annual BMX Cologne contest is just a few weeks away! 22/23rd July at the legendary Jugendpark, always one the best contests of the year. 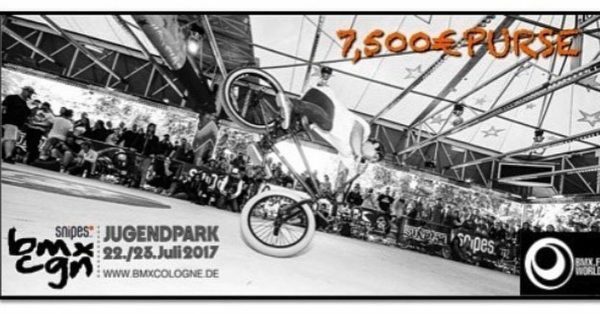 BMX Cologne is stop 3 of the 2017 World Circuit, don’t miss this one!